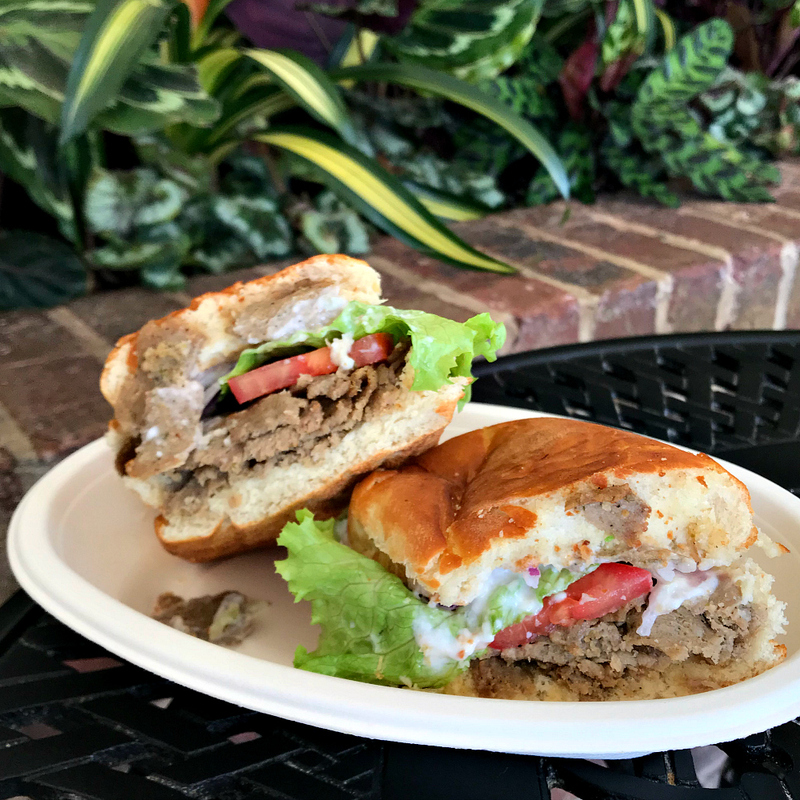 From po’ boys to curry, lunch at Disney World is our favorite meal of the day, and we’re sharing our favorites! Lunch at Disney World is more affordable! It’s a tradition that we go to Earl’s the first night of our trip, so I’ll start with that. Earl’s is a sandwich lovers dream. They’ve got a plethora of options, including sandwiches, wraps, salads, soups, and treats. The line can get long, but it moves quick! This was the special of the day, which was a gyro sandwich, and it was very good. My all-time favorite though is the Holiday Turkey, which has turkey, cornbread stuffing, turkey gravy, cranberry sauce, and mayonnaise. It’s amazing! 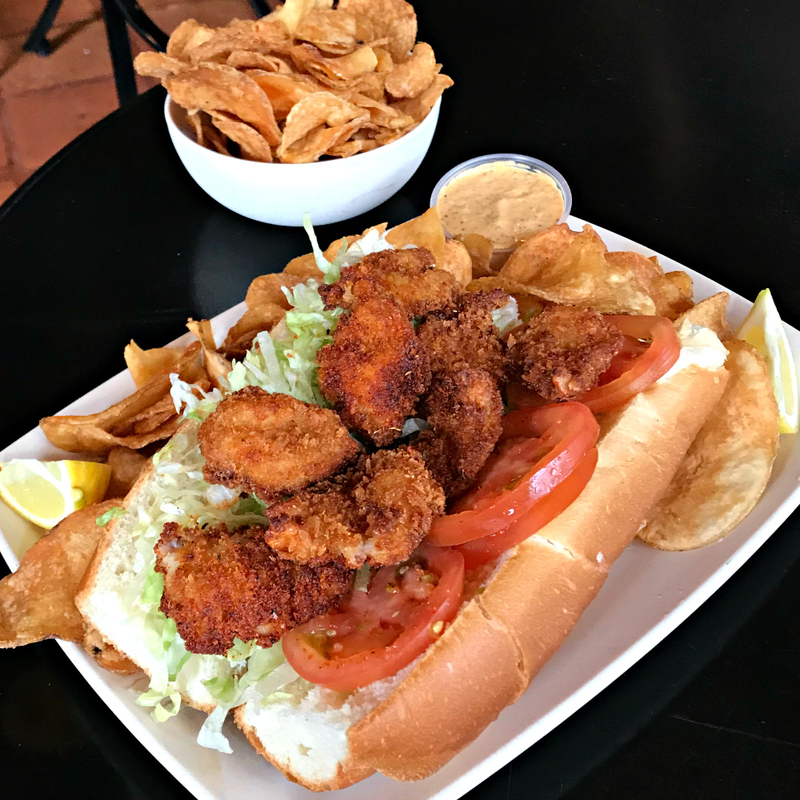 The Shrimp Po’ Boy at Sassagoula Floatworks and Food Factory really impressed us. The shrimp are plump, juicy, and flavorful, and the sandwich is simply dressed on a super soft bun. It also comes with housemade chips, making it enough for two people. There are tons of lunch options here including burgers, chicken sandwiches, salads, fried chicken, BBQ, and even sustainable fish. And don’t leave without getting some fresh, piping hot beignets! 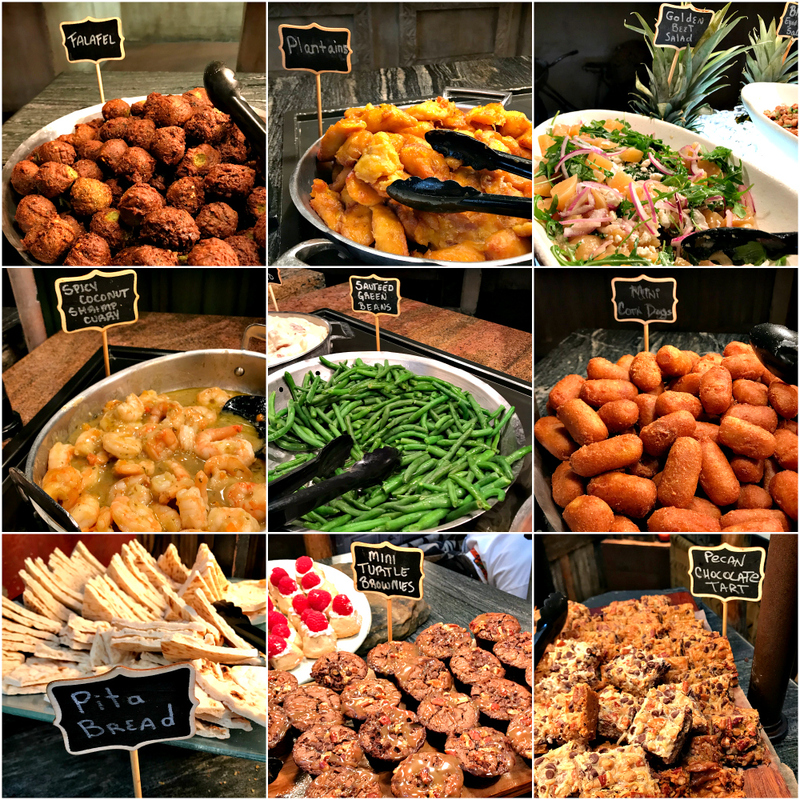 Low Carb Options: Yes lots! 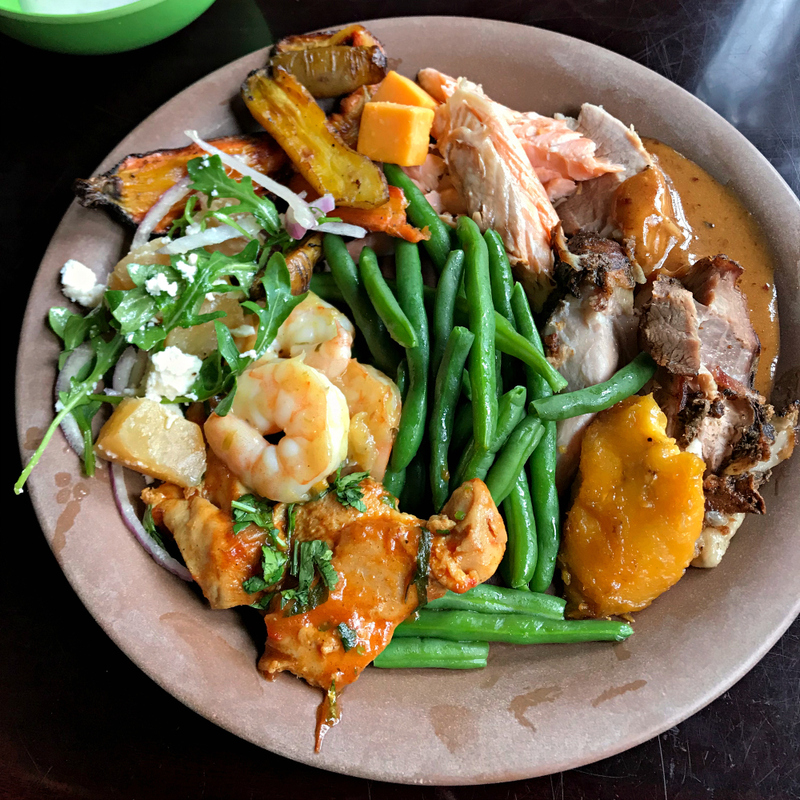 With a mix of African, Indian, and American fare, the buffet at Tusker House is truly impressive and appeals to both kids and adults. It’s a character meal, so it IS pricey – but so worth it. Here’s why. The food is unique. Out of all the character dining experiences at Disney World, this is by far the best food, IMO. Fill up on mojo pork, salmon, chicken curry, falafel, rice, roasted veggies, fresh salads, chutneys, breads, and desserts galore. My advice is to take your time, eat slow, and try as much as you can. The characters make there way around constantly, so the kids will be entertained. The Baby Back Ribs at Yak & Yeti are amazing. My whole family loves them! They are slow-roasted pork ribs, with hoisin BBQ sauce, chicken fried rice, and sweet chili slaw. They’re melt in your mouth delicious! 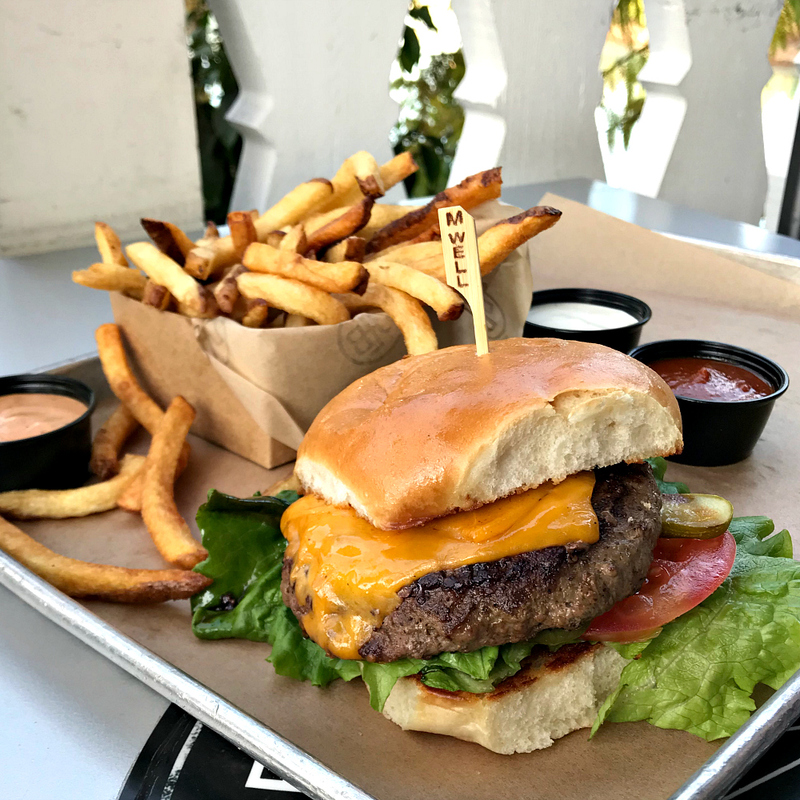 Simply put, these are some of the best burgers on Disney property. Their signature beef blend is a combination of beef, short rib, chuck, and brisket – and it’s delicious! 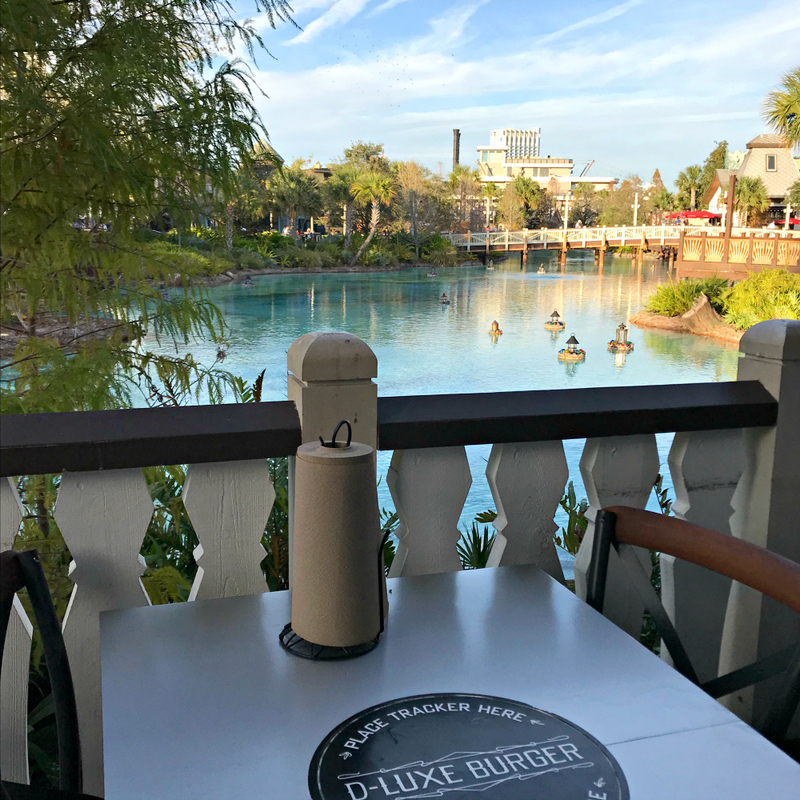 Get a table outside on the deck for a fantastic view of Disney Springs. It’s a must-do for us every trip! 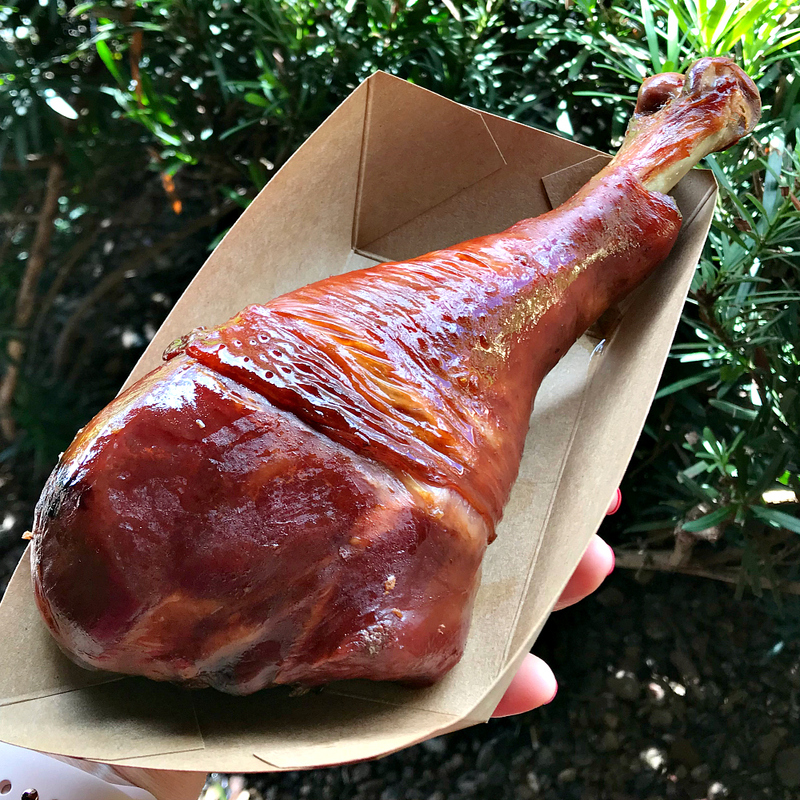 Did you even go to Disney if you didn’t get a turkey leg? They’re one of the most iconic foods at Disney, and for good reason. With a taste and texture are similar to ham, the meat itself is juicy and full of smoky flavor. They’re satisfying and delicious! You’ll get over a pound of meat off one of these babies, making them perfect for sharing. There are several places to get yourself one, but it’s a tradition for us to grab one off the cart in Frontierland! Sommerfest has a small menu, but it’s one of our favorites. 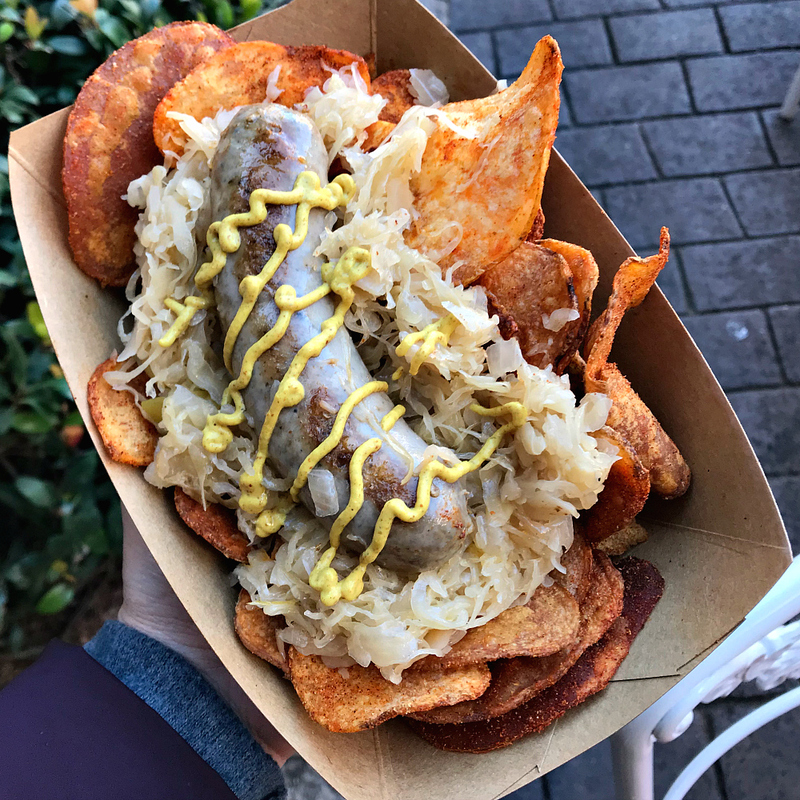 The bratwurst sandwich comes with sauerkraut AND house-made paprika chips for just $10.29, and it’s enough to share, especially if you get the bun. But, if I’m being honest, I’m really just here for the chips. They’re my weakness. There is a small walkup “bier” counter outside of Sommerfest where you can find some unique options, including my husband’s favorite Dunkel. Sometimes, we just get a couple of beers and chips! Don’t let the simplicity of this fool you. It was one of the best things we ate on our trip! This is the ham and cheese with Dijon mustard butter in a freshly baked baguette – and it’ amazing! Les Halles Boulangerie Patisserie has something for everyone – soups, sandwiches, Niçoise salads, quiche, and desserts galore! 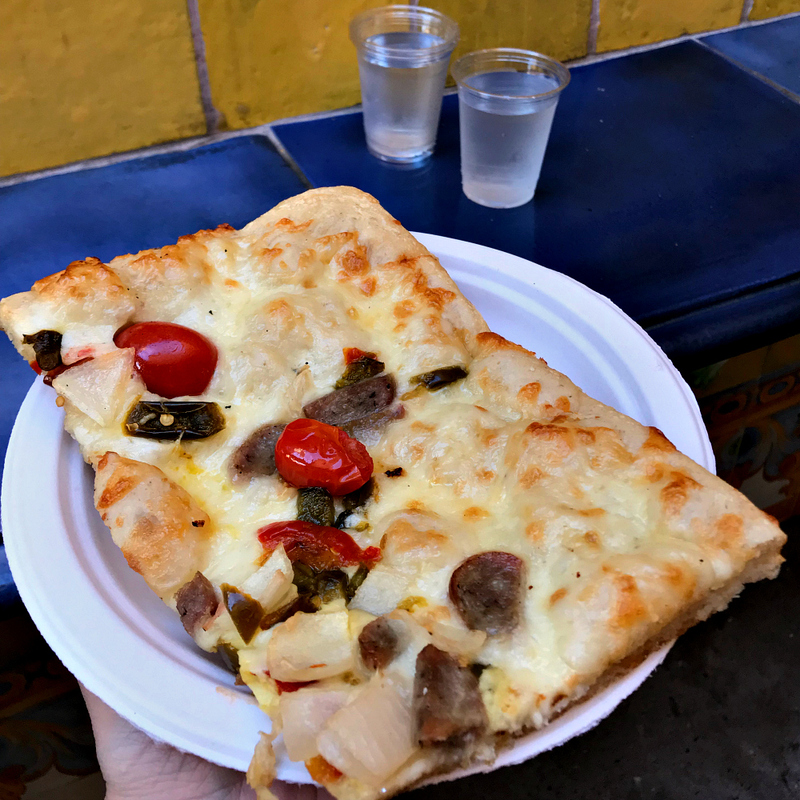 Pizza al Taglio (aka pizza by the slice) is a fairly new addition the Italy pavilion, and we’re already big fans. This pizza was legit! The walk-up window sits just to the left of Via Napoli and has a small but satisfying menu. We got the Pizza San Gennaro with Italian sausage, cipollini onions, hot pepper, cherry tomatoes, mozzarella, and provolone cheese. It was delicious – and huge! 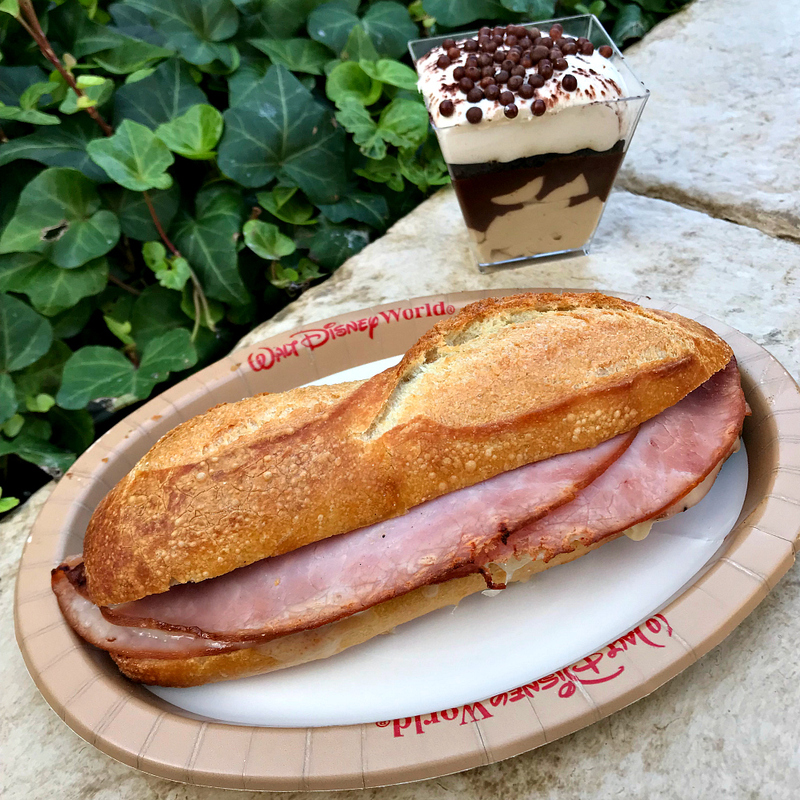 What are your favorite Disney foods? Join our Facebook Group to connect with other Disney addicts, ask questions, and chat about all things Disney!